WABASH VALLEY, Ind – During election season we will often receive calls from listeners who complain either about the number of political ads, what they are saying or both. Federal political ads we are required to accept and air. Local political ads we accept so that candidates just like another advertiser can exercise their free speech rights and get their message to you. We often tell listeners that if they have something they want to say they are more than welcome to purchase ads just like anyone else and as long as there is nothing illegal in the ad we are more than happy to accept their money and run the ad. 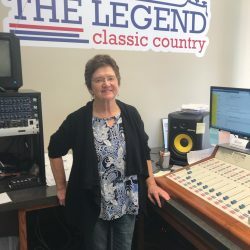 Brazil resident Linda Messmer did just that and came to the studios of our sister stations up north and purchased an ad to tell politicians what they can do with their negative ads. Linda’s ad will be running on some of our stations this week.